Does anyone know why my P x Tina could be dying from the inside out? The centre leaves blacken while there rest look just fine. I already used a fungicide. but it seems rotten to me, maybe by too much watering? I forgot to post a picture, but here it is. Maybe you're right. I did water it a couple of times from above, which I never did before. 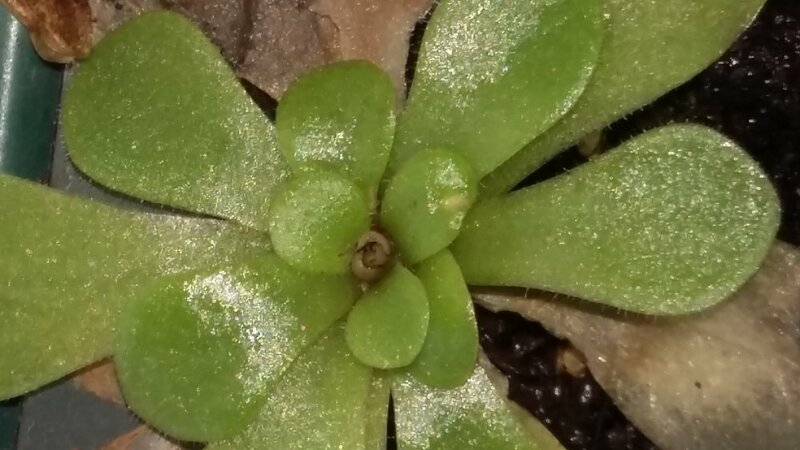 I have like ten or so other Pinguicula xTina, who are doing much much better, but I am dreading a spreading disease. if you have any doubt, quarantine it. what substrate use you ?